When it comes to cooking and baking, being prepared is not my strongest quality. However, lack of on-hand ingredients has taught me the importance of a good substitution! Often I find I prefer the substitutions to the original recipe, either for convenience (such as using canned evaporated milk instead of fresh whipping cream in sauces) or for the healthy factor (such as subbing applesauce for oils and fats when baking muffins). 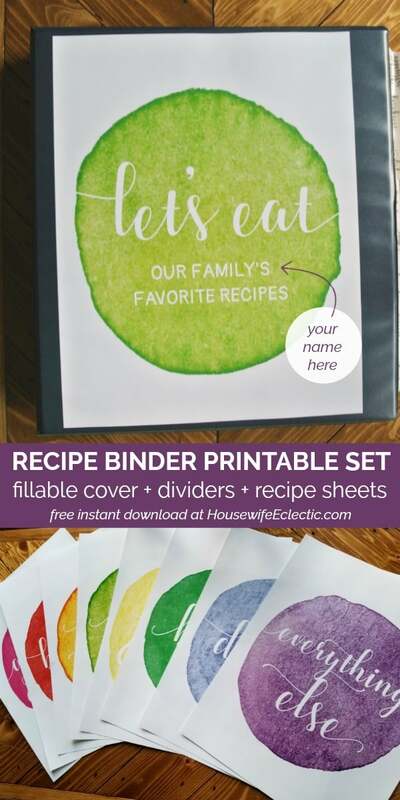 Google is a great resource for kitchen recipe substitutions, but I like having my favorites printed out so I don’t even have to consult the interwebs via a “hey Google” or “Alexa, tell me…” So I put together a list of common recipe substitutions for cooking and baking, to add to my recipe binder. Now I can cook and bake “off the grid” and still know how to sub for baking powder or make my own buttermilk for a recipe. 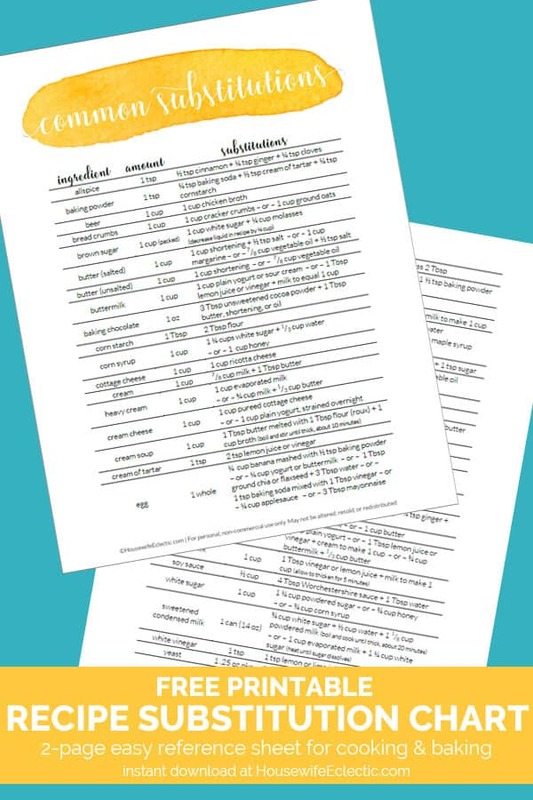 The kitchen substitutions reference sheet is just two pages, so slip them in a page protector for an easy to consult chart when you find you’re out of eggs or cream of tartar, wondering what the difference between cake flour and regular flour is, or need to know what is in pumpkin pie spice. Leave me a comment and tell me if I missed any of your favorite substitutions for baking and cooking!